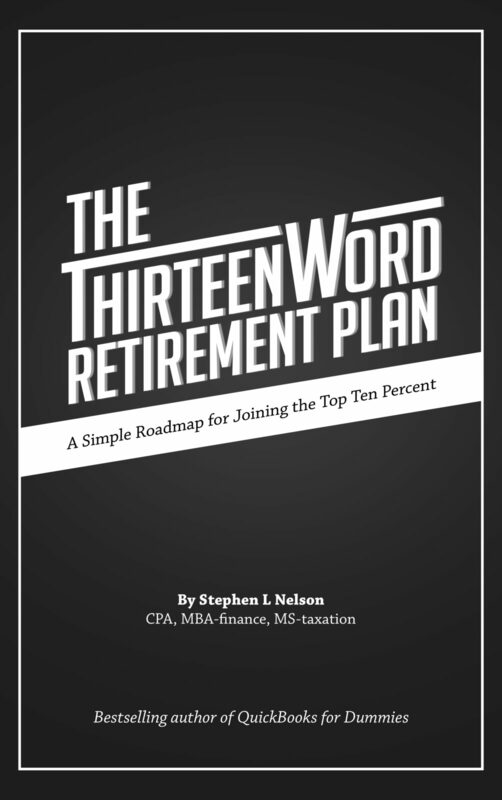 Yesterday’s blog post talked about why you and I both need to have a retirement plan b. To recap, that suggestion flows from a simple reality—that reality being that you and I don’t really know how much we’ll end up with for retirement—even if we know exactly how long we’ll save, exactly how much we’ll save, and exactly where we’ll save. This blog post continues the discussion, explaining how to use the popular FIRECalc tool to make “retirement plan b” Calculations. Note: Over the next couple of days, follow-up blog posts will explain in detail how to use cFIREsim and Portfolio Visualizer to make the same calculations. But let’s get down to the details. 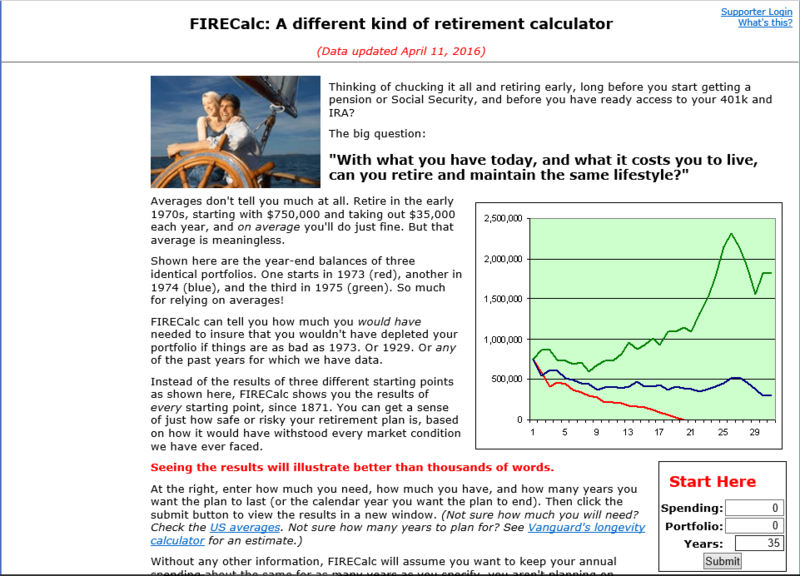 FIRECalc, as you probably know if you’re reading this, is a wonderful online calculator you can use to plan your retirement—and especially how to safely draw down your retirement savings. You can also use FIRECalc to estimate likely future values for your retirement savings at the start of your retirement. But you need to, well, sort of trick the program. Open the FIRECalc home page using this link firecalc.com. Figure 1 shows this web page (which doesn’t render well, frankly). You can click the image open a larger copy of the screen shot. Enter the value 0 into the Start Here box’s Spending text box. 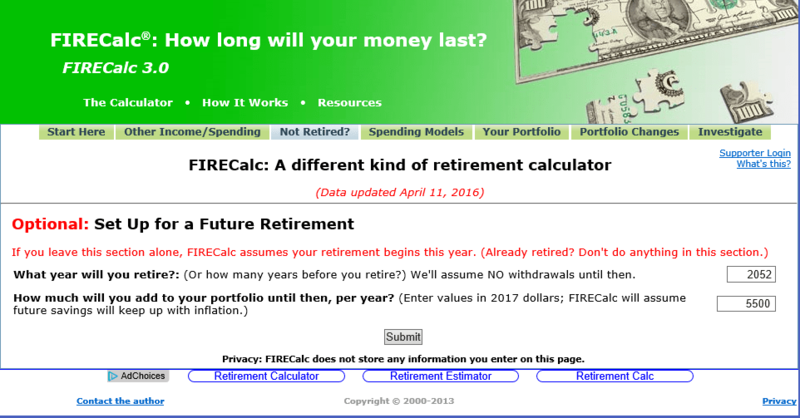 Click the Not Retired tab near the top of the FIRECalc window to display the optional settings used for modeling a future retirement. Enter the year you’ll retire into the What Year Will You Retire box. (This year should probably be the current year plus the value you entered in step 4.) Figure 2 shows this webpage. Again note that you can click the image open a larger copy of the image. Click Submit to have FIRECalc model your savings. After you click Submit, FIRECalc calculates the historical results your plan would have produced had you run the plan during any period after 1872. 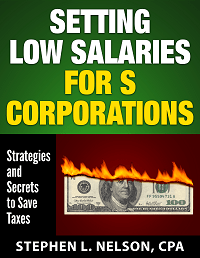 The above language describes the outcome when someone runs a 35 year retirement savings program saving $5500 annually and starting with no savings. And some notes: First, the worst case scenario isn’t actually zero. 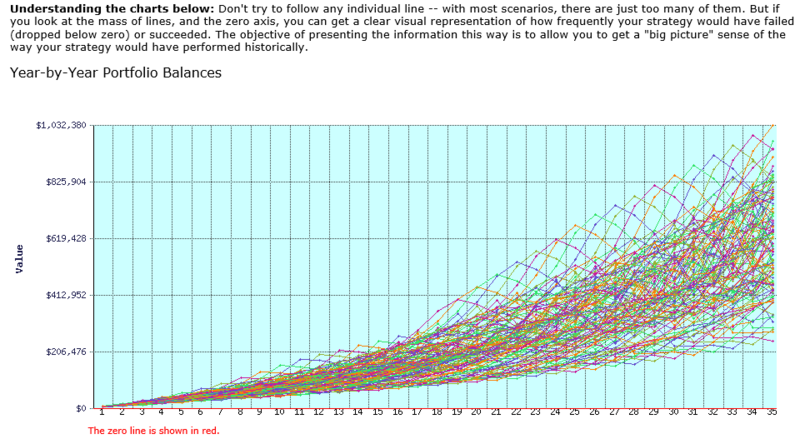 The FIRECalc website gives zero as the low point because that’s the starting balance in the scenario modeled. Second, note that the FIRECalc website does give you the average (median) outcome—which is $608,045 with the inputs I provided. But the point of this whole “retirement plan b” discussion is that value would probably not be what you end up with. Half the time people will end up with less than that value. Half the time, more. The FIRECalc Results page also produces a line chart that graphically displays the outcomes someone running the modeled retirement plan in the past would have encountered. Figure 3 shows this image which graphically depicts retirement plan outcomes for the scenario described in the earlier paragraphs. Again, and sorry, the line chart doesn’t render well on a blog page, but you can click the image to get a bigger copy of it. 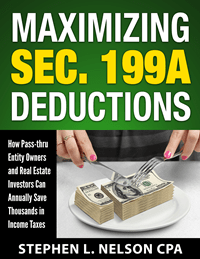 By eyeballing the chart—and this will be easier on your monitor using the actual FIRECalc web pages—you can see that the worst case outcome in the example case described here is slightly over $200,000 in retirement savings at the start of retirement. Further, a large number of outcomes fall under $412,952. And there you have it: FIRECalc’s assessment as to the range of outcomes possible if the future looks like the past. 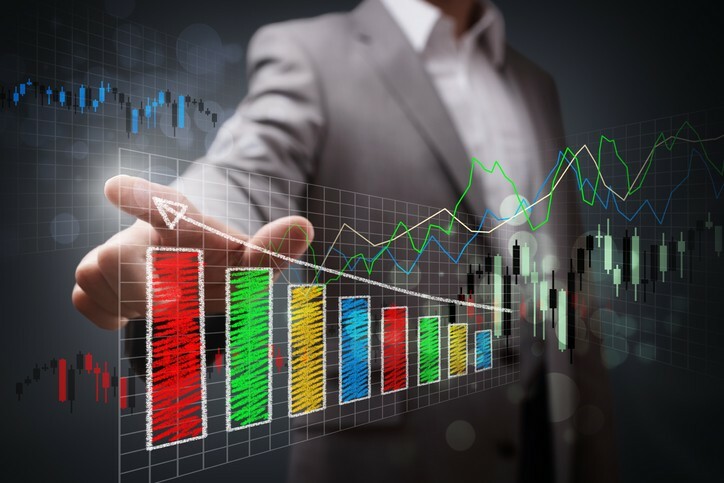 The outcomes provided in the preceding paragraphs assume your retirement savings allocate 75% of your funds to equities and 25% to bonds delivering the long-term interest rate. But you can tweak these percentages, and should, if you’re using some different asset allocation. An observation: If you tweak the percentage allocated to equities, you’ll notice the range from worst case outcome to best case outcome shrinks and grows. To maybe state the obvious, you absolutely do forecast higher future value balances if you allocate a larger percentage of your portfolio to equities. But you also end up with a larger range of outcomes. The higher the equities allocation, therefore, the more important your retirement plan b becomes. You can tweak FIRECalc’s asset allocation formula using the Your Portfolio webpage. You get to this website by clicking on the Your Portfolio tab at the top of the FIRECalc webpage. To reset the allocation to equities, replace the value in the Percentage Of Your Portfolio That Is In Equities box. Tip: Lots of people (me included) often don’t do a good job of internalizing the risk embedded in their portfolios. 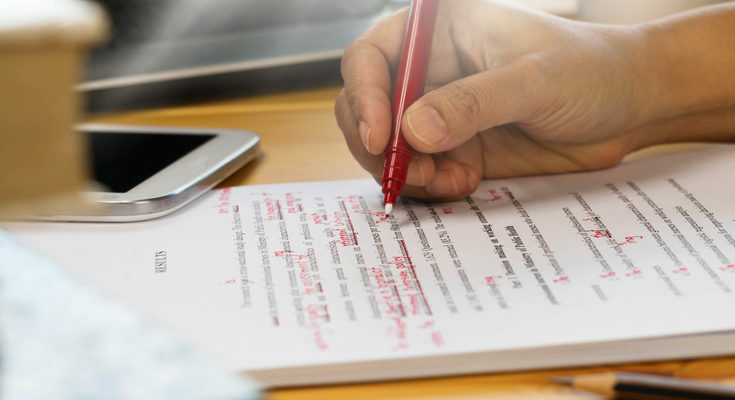 But you may find your FIRECalc retirement plan b calculations very useful for sizing up the risks of your asset allocation, too. 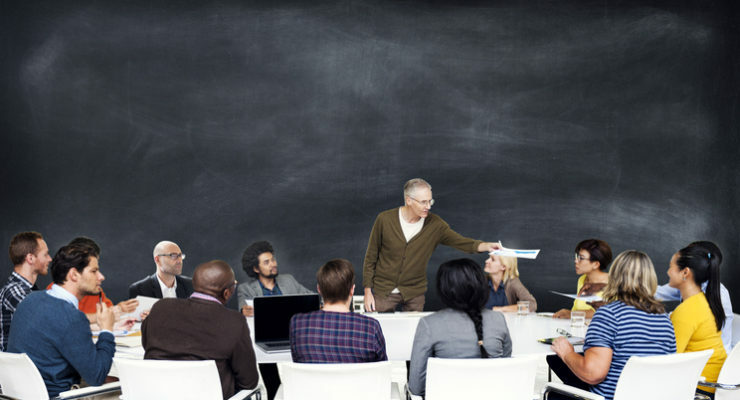 Each day this week at the Evergreen Small Business blog, I’m discussing the idea that you probably want a “plan b” for your retirement. Those other posts are probably going to be interesting to you if you’ve just finished reading this. 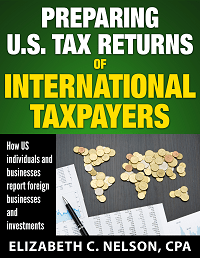 $10,000,000 Individual Retirement Accounts and 401(k)s Really Possible? 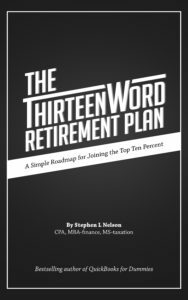 Finally, on the off chance you need a retirement plan “a”, go ahead and grab a free copy of my “Thirteen Word Retirement Plan” available here.